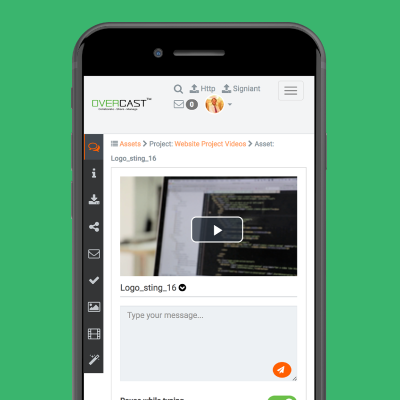 Digital asset management, now entirely mobile responsive to let you view, collaborate on and manage your video even when you are not at your desk. All of the main functionality is available on mobile devices. You can upload, comment, approve, search, publish, and more straight from your phone or tablet. Our platform design is responsive, which means it can be used and easily navigated with mobile phones and tablets.